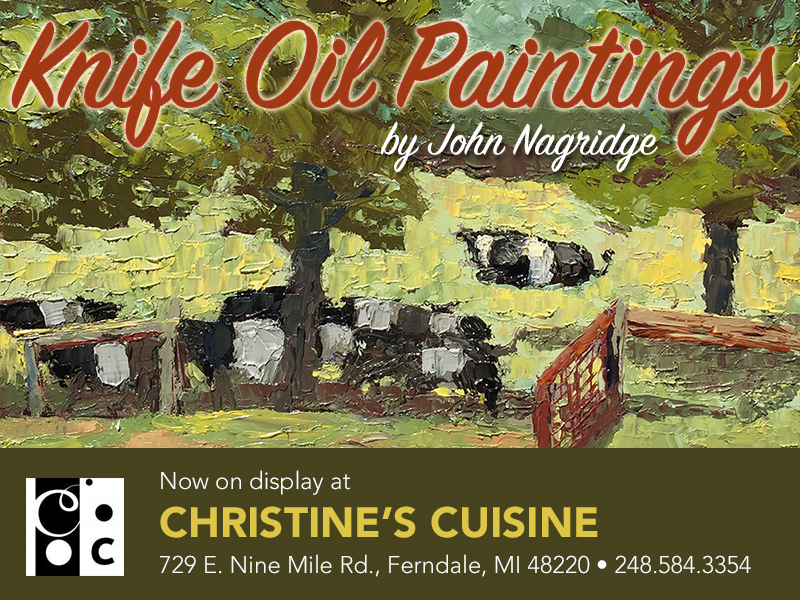 I just hung up about 20 of my knife oil paintings at Christine’s Cuisine. It’s a terrific restaurant in Ferndale, Michigan on 9 Mile between I-75 and Woodward. I’m especially thrilled to show my work here because the owner is, like me, of Ukrainian descent. If you stop by to see my work (which is all for sale), make sure you stay and enjoy great meal. I can personally vouch for their Ukrainian Combo Platter. Tell Christine and Natalia I sent you. I’ll be exhibiting a few of my knife paintings at the Ukrainian American Archives & Museum of Detroit on Saturday, May 13, 2017. They’re having a special preview tour of their new location on 9630 Joseph Campau in Hamtramck, Michigan. Donation at the door is $25, and includes a guided tour of the new facilities as well as refreshments. You can get more details at their website or on their Facebook page. I’m thrilled and honored to be a part of the show that includes Ukrainian artists I greatly admire, including my high school art teacher, Luba Kytasta. She was a strong and supportive influence and I can’t wait to see her and her art that day. This is my first show of 2017, but hopefully not my only one. If you can make it, please be sure to say hi.